Winter is a magic time when all dreams come true. Bring this magic spirit in your classroom. 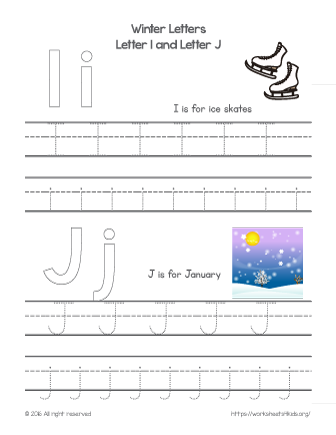 Learn new winter related words with kids and practice writing letters. The letter I and the letter J and find more words.